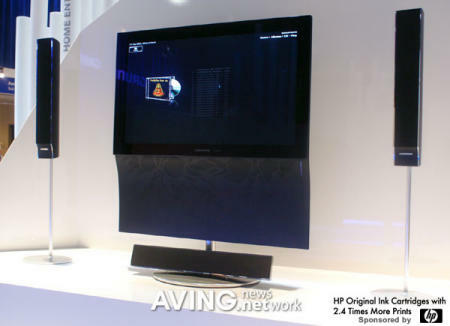 Grundig have been showing off a monster Home Entertainment System at this year’s IFA 2007 show in Germany. The new Grundig system seemingly offers everything you could ever want from a home entertainment system – integrated hard drive, DVD recorder (though only standard DVDs), plus LAN and WLAN connectivity. This last features will let the Grundig hook up to any PC in your house and stream MP3 and video directly frolm their hard drives. You also get a 5.1 surround sound speaker system (naturally), and good looking design. This unit looks ok, but to tell you the truth in comparison to any B&O stuff it looks a little bit overdone and doesn’t have a lot of grace. Of course it is only my opinion.